I came accross these two chaps whilst out walking the streets of Shanghai, a father and son team working together breaking down old parts of houses and re-cycling and re-selling what they could, they were so happy to see me especially when I showed them the image in camera, they were also living in this broken down half demolished house in the middle of a demolition site…as they say ‘Make Money while the Sun Shines’ Their smiles made my day 🙂 Image taken close to the Huangpu River, Huangpu Old District, Puxi Side of Shanghai. Great photo! What gear do you use? 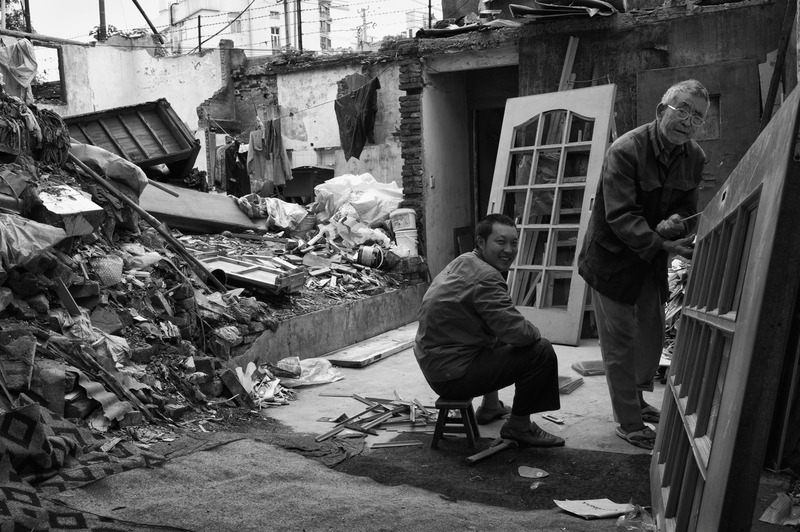 I take a lot of photos down in the old market area / construction site by my apartment in Ningbo. When the light’s right, it can be stunning!